PLEASE CLICK BELOW TO READ OUR LATEST NEWSLETTER! Grads, please check your email or the Graduation page on the WSS Website for up to date information on Graduation Transition. Sign up for Graduation Transition meetings will begin next week in the office. Meetings with students will take place between April 30 – May 30. Some grads may have to schedule times outside of this date range due to extenuating circumstances. Please make all arrangements with the main office. A reminder about the ShEvalesco life skills workshop after school in Room 112 – Ms. Campbell’s room. T & F Practice TODAY – 3:15 in the gym. This Easter, students from leadership will be holding a fundraiser to help those affected by the cyclone Idai in Mozamabique. Starting lunch on Monday a group of students will be set up in the MPR accepting guesses for how much candy is in a jar. Guesses with be 50 cents, however more donations are encouraged. The first place prize will be the jar itself, and smaller prizes will be given to the second and third closest guesses. Happy Easter, and happy guessing! Cisco is pleased to invite female students to be part of a Girls Power Tech Global Mentoring Initiative. This special learning opportunity is designed to introduce girls to exciting opportunities in the information and communications technology field. During this event, students will be mentored by Cisco employees, hear from innovative women working in IT and engineering, and learn about educational and career opportunities in the technology field. It will be held in Vancouver, 675 West Hasting Street, Suite 600 on Thursday, May 1 from approximately 10am – 2pm. Note, this is a new location and a new agenda. Cisco welcomes girls who have attended in the past to join us again. Please email Mrs. Smart if you would like to attend or for more details. FAMILY BINGO NIGHT is NEXT WEEK (Thursday, April 25th)! Or…buy online from Eventbrite or buy from a Grad anytime! Pre-order your pizza dinner from Eventbrite, too! This is a very important announcement for all students who have not completed their course selections. If you do not come in to the counselling office and complete a form by the end of the day today, we will be selecting your courses for you. Students are invited to attend the Vancouver International Universities Fair to learn about post-secondary options May 5th. https://www.nacacfairs.org/attend/international-universities-fair/vancouver-international-universities-fair/ Please note that this date is the same day as the Vancouver Marathon which will affect road closures, so you may wish to plan your driving route accordingly if you are driving. Quest has offered both of their busses to bring students into the VIUF event on May 5th. Students will have priority for the seats, and parents may be able to come on the bus if there are seats. The meeting place would be Quest University Parking Lot and the bus would head to Vancouver around 11:30 (to be confirmed closer to the date). There will be no cost for the transportation into the event. If you would like space on the bus, please email Mrs. Smart by Wednesday, April 17th. Note that this date is the same day as the Vancouver Marathon so you may wish to plan your driving route accordingly if you are driving. lunch today for everyone racing Wednesday. If you’re racing tomorrow in North Van, you have to be there!!! LEADERSHIP: Special meeting TODAY at lunch. You know who needs to be there, so be there. Can’t do lunch? Then see JHall at break, during B block or right after school Tuesday instead. Good Morning Students, if you’re interested in joining your Principal, Ms. Kirk for lunch on Wednesday to discuss the “washrooms without doors experiment” then please see Ms. Kirk or Ms. Robson in the main office to add your name as there is limited seating for the first meeting. Bring your ideas and suggestions along with your concerns. Thanks for your time and ideas! A reminder about the ShEvalesco life skills workshop for Girls Grades 10-12. It begins TODAY, after school in Room 112 – Ms. Campbell’s room. If you haven’t signed up with Mrs. Titus or at the office, please do so asap. You won’t want to miss it. WSS Golf Club mandatory meeting this Wednesday April 17th, bring your lunch and be there right at the bell. Jr. Girls soccer practice is cancelled tonight, next practice is Thursday at 3:15. Congratulations to Jack Morrow for his 4th place finish in the U 19 Canadian Ski Cross championships. Come out and Support the next Grad fundraiser “Bingo Night” on Thursday April 25 at 7pm in the MPR room. This is a great family event where there will be fabulous prizes and cash prizes to be won. We are asking all Grad 12’s to sell 2 tickets each for $10/tickets. Each ticket includes 4 bingo cards. Grad pay $5 entrance fee but get 2 free Bingo cards to play. Tickets available in advance through Eventbrite. There will be some tickets for sale at the door. There will be a Raffle, 50/50 draw, Pizza and bake sale available. We are also asking all grads to donate one item to the raffle draw. This item can be anything from gift certificate to soap, coffee, a mug, anything that has a value of $10 or less. We will then take these items and make up four really nice raffle baskets to raffle off. There will be a bin for items in the office where you can drop off. Congratulations to our Yearbook Staff for completing our book. You’ve created an awesome book. Thank you for your dedication, energy, enthusiasm, and talent. All teens in the Teen Mentoring Program to please be outside and on the bus for 11:45am. Please turn in your permission forms to Ms. Robson. This is a very important announcement for all students who have not completed their course selections. If you do not come in to the counselling office and complete a form by the end of the day tomorrow, we will be selecting your courses for you. Students are invited to attend the Vancouver International Universities Fair to learn about post secondary options May 5th. https://www.nacacfairs.org/attend/international-universities-fair/vancouver-international-universities-fair/ Please note that this date is the same day as the Vancouver Marathon which will affect road closures, so you may wish to plan your driving route accordingly if you are driving. LEADERSHIP: Special meeting Tuesday at lunch. You know who needs to be there, so be there. Can’t do lunch? Then see JHall at break, during B block or right after school Tuesday instead. A reminder about the ShEvalesco life skills workshop for Girls Grades 10-12. It begins Tuesday, after school in Room 112 – Ms. Campbell’s room. If you haven’t signed up with Mrs. Titus or at the office, please do so asap. You won’t want to miss it. Reminder: Monday, April 8th is a Pro-D, no classes in session. Please come to the office to put your name on the list if you intend to write on either of these dates. There will be a Track practice on Monday @ 3:30 pm. Please meet in the gym. Students who have signed up to write the Grade 9, 10 and 11 University of Waterloo Math contests are reminded that they will be written during B block on Wednesday, April 10th in room 113. Please bring a calculator and a pencil. Today is your last opportunity to sign up for golf. If you haven’t already signed up please do so on the office window by the end of today. All track and field members who have brought their permission forms in for track meets – we will be handing out uniforms and spikes TODAY at lunch in the gym. 3 sessions after school. About 2 hours/session. If you can’t make all 3 sessions, come for 1 or 2. Assertive communication, self-advocacy, building resilience and confidence, and financial literacy. Reserve your spot with Mrs. Titus or Ms. Robson at the office. Please contact jhall@sd48.bc.ca or swilson@sd48.bc.ca before registering. Watch for more information to follow. Happy trails… and tunnels… and temples… and floating markets… and monkeys…. We are asking all Grad 12’s to sell 2 tickets each for $10/tickets. Each ticket includes 4 bingo cards. Grad pay $5 entrance fee but get 2 free Bingo cards to play. Tickets available in advance through Eventbrite. There will be some tickets for sale at the door. There will be a Raffle, 50/50 draw, Pizza and bake sale available. We are also asking all grads to donate one item to the raffle draw. This item can be anything from gift certificate to soap, coffee, a mug, anything that has a value of $10 or less. We will then take these items and make up four really nice raffle baskets to raffle off. There will be a bin for items in the office where you can drop off. Students that need to return Basketball uniforms asap: Aeron Pita, Caden Lancaster, Julian Doronila, Jean Quintanilla, JN Quilantang, Harmoney Hachey and Kenneth Verzo. Grade 10 Boys Basketball Team – yearbook needs a team photo of you. Jr. Girls soccer practice Tuesday and Thursdays from 3:15 – 5:00. All players must attend. The senior girls’ soccer team will leave at 2:30 today for their game. All track and field as well as senior girls’ permission forms and fees are due ASAP. Please bring into the main office so we can plan accordingly. This Thursday April 4th is the first mtn bike team practice, 3:30-5:30.Permission forms and season fees are due BEFORE students can come on the team ride. Please hand in forms and fees to the office ASAP so you can come along. Our first race in Wednesday April 10th at Fromme in North Vancouver. Permission forms are available outside the office. See Ms. Clements if you have any questions. LEADERSHIP: please see your email later today and come to the lunch meeting tomorrow. Thanks, JHall . Yearbook wants your Spring Break photos! By this Friday though! You can email or see Mrs. Titus, or any of our Yearbook staffers. All new or returning students interested in joining the WSS golf team please head to room 204 (foods room) for a quick meeting with Ms McClelland and Mrs. Smart at the start of lunch TODAY. We will go over this year’s schedule and answer any questions. Hope to see you there! Getting this by email? Please see the attached one-page full itinerary for Spring Break 2020! Students that need to return Basketball uniforms asap: Aeron Pita, Caden Lancaster, Julian Doronila, Justin Doronila, Jean Quintanilla, JN Quilantang, Rhys Higgins, Harmoney Hachey and Kenneth Verzo. There is a very important Junior Soccer Girls meeting at the beginning of lunch in room 207 to discuss the tournament if we do not have enough numbers we will be cancelling this tournament. There will be a short Math team meeting at the beginning of lunch today. Please get to room 113 right away! Yearbook meeting today after school. Our deadline is next week to finish the book. Yearbook staffers who have pages to complete, please come to the meeting. CHANGES TO BUSES TO AND FROM WSS IN EFFECT! Emerald students will have a little bit later pick-up in the mornings but will arrive at school at about the same as before. The afternoon bus to Whistler Cay and the Village will leave the school at the same time as all the other busses – 3:22. We have hired a new driver and some of the existing drivers will be changing routes. Please ask your students to make sure they are boarding the correct bus in the afternoons. – Students who have returned WE Day permission forms, meet at WSS at 6:00am. Bus leaves at 6:20am, and returns to WSS at 4:30pm. First appointments begin at 2:30. JOIN STUDENTS FROM WHISTLER SECONDARY’S LAW 12 AND ABORIGINAL LEADERSHIP, TODAY, AT 11 am, IN THE VILLAGE, TO ACKNOWLEDGE AND HONOUR OUR ABORIGINAL WOMEN AND GIRLS. Go to: https://hswc.ca/sisters-in-spirit/ for more information. Whistler Secondary Graduating Class of 2019 gets ready to enjoy a gourmet breakfast this morning. Thank you from the Grads, to the Staff at WSS for their outstanding chef skills, and spending their time last night and early this morning setting up. Thank you to the Four Seasons Resort Whistler staff for your time in providing the tableware and linens. Get involved in our WSS graduation celebration! Orange Shirt Day is Friday September 28 at WSS. Wear orange to acknowledge the survivors of Residential Schools. “It is an opportunity to come together in the spirit of reconciliation and hope” http://www.orangeshirtday.org/ We will be having an assembly during B block. All are welcome to join us. WSS Terry Fox Run is Thursday September 27 during C block. Run for Terry and donate. Come catch up on tests or get some help with your homework. Due to heavy ridership in Cheakamus the bus route time will be changed. The initial pick-ups are 5 minutes earlier for both W3 & W4 routes going to SCCS. The pick-ups are later for the Cheakamus students travelling to WSS. The WSS students from Nordic and Alta Vista will be picked up by the green W3 bus at their usual time. Thursday, September 13th from 5:00 – 7:00 pm. 5:00 pm – pick up your student’s schedule and meet the new Admin in the MPR. 6:15 pm – Join PAC, students, parents, teachers and guests in the MPR to circulate among information tables and enjoy a burger dinner, hosted by the WSS PAC. School District 48’s International Education Program is bringing 31 international student to Whistler Secondary for the 2018-19 school year! Students range in age from 13 to 18 and come from Belgium, France, Germany, Japan, Mexico, Spain, Norway, Finland, Switzerland, and China. Our students need the support of homestay families to help them navigate their year in Canada, and the International Program in turn provides families with support to maximize their experience in the program. 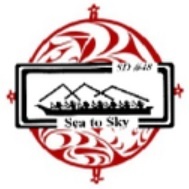 Sea to Sky families love this program because it exposes their children to different cultures and they develop a really great connection with their students and their natural families. We have a handful of temporary families who are able to take students on short term basis should long term families go on holidays. This is not an exchange. You will be compensated monthly to cover the cost of food and the bedroom. Click here to catch up on some of what’s been happening here at WSS. On behalf of WSS Staff and Students, we would like to formally acknowledge the generous donation from the Whistler Blackcomb Foundation. This donation will be used to support this year’s Theater and basketball programs. Many thanks to the Foundation and all they have done to support us. Assessment – By utilizing assessment for, of and as learning, students use criteria and diverse means to demonstrate understanding that drives learning forward. Collaboration – Students are inspired in the creation of new knowledge and respect for different ideas while understanding each other and themselves. Engagement – Cooperative structures and strategies allow students to access prior knowledge and deepen understanding to reach specific end products or goals. Learning is differentiated to affect each learner. Play and Exploration – Student curiosity and inquiry-based approaches lead to the development of student creativity and the innovation of something new. Purpose and Authenticity – Students engage in meaningful and personally relevant learning using interdisciplinary approaches and ‘voice and choice’ to make connections to their own reality and to a broader perspective. Technology – Students use technology to gain access to information, track understanding, and present out their learning. These are the site-based, professional practices embedded in our day-to-day instruction and structures that uphold the Pathways to help students develop and demonstrate (through a variety of ways) learning in the four core competency domains. What is our ‘Theory of Action’? REMINDER: PLEASE ALLOW THE WATER IN THE FOUNTAINS AND/OR THE FILLING STATIONS TO RUN FOR A MINIMUM OF 1 MINUTE AND UNTIL IT TURNS COLD. DO NOT USE CLASSROOM FAUCETS FOR DRINKING. Whistler Secondary supports all students, including our athletes. Student athletes at Whistler Secondary School vary considerably in the sports programs they participate in, including skiing, biking, luging, football, hockey, soccer, snowboarding, and track & field. Often, these programs require our athletes to be away from school throughout the year for training and competition purposes. Athletes recognise that, as students at WSS, there is a commitment and a balance needed to be a learner and a competitor. Student athlete’s responsibilities include communicating their needs and schedules with the school and their teachers. 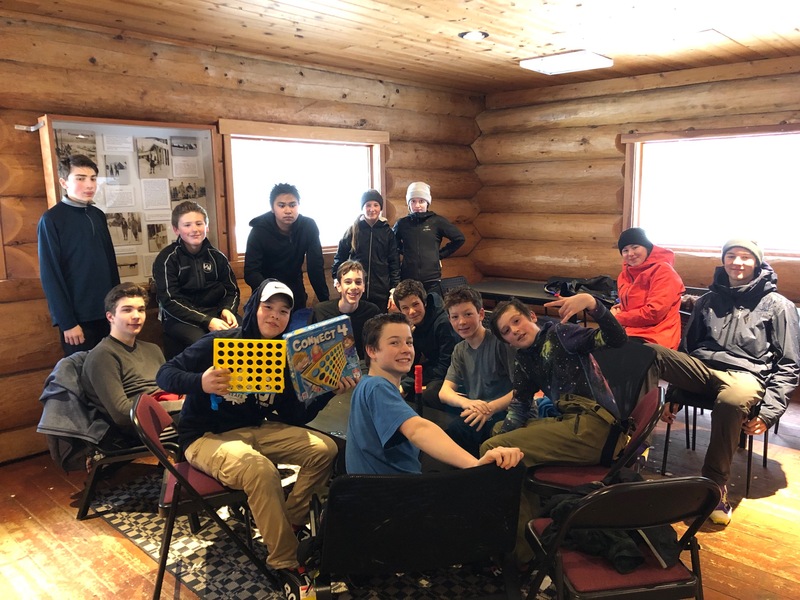 Whistler Secondary works with these students to support their educational goals while complementing their training and competition commitments. Flexible scheduling and a hybrid model of online and in-class course delivery allows for students to find success in self-directed study while they are away. If needed, students find academic support in school when they return from training and competitions. Whistler Secondary takes pride in building supportive relationships with all of our students. At Whistler Secondary School, we pursue excellence in all that we do and support each other in order to achieve our personal goals of success. 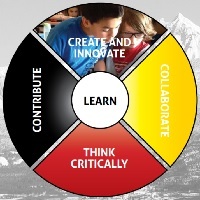 We’re honored to be learning on the traditional territories of the Squamish and Lil’wat nations, within the beautiful community of Whistler, B.C. 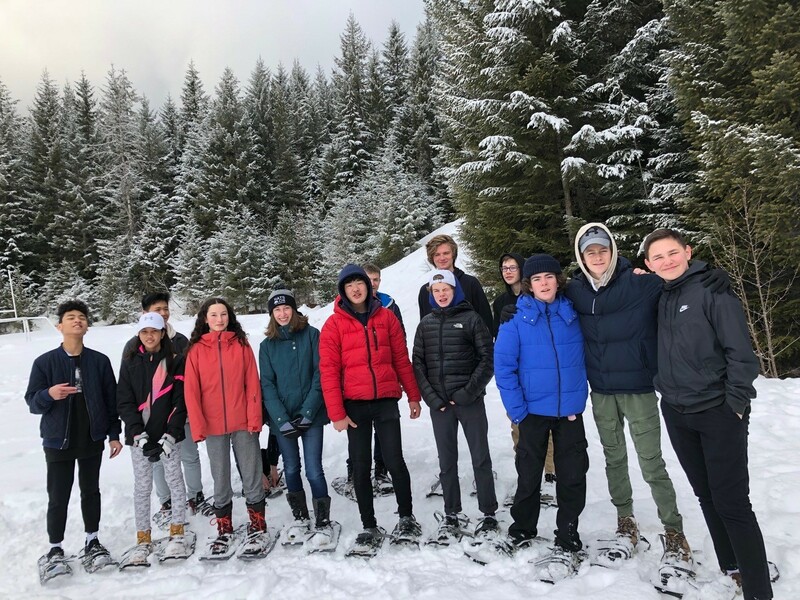 Whistler Secondary is a closely knit community of learners where grade 8 to 12 students receive individualized attention from their teachers and strong support from their parents and community. In addition to working hard academically, students are encouraged to develop their unique talents and abilities by participating in self-directed after-school activities such as choir, musical theatre and dance. These activities are supported by locally developed courses and students receive credits for their participation. The school also promotes global stewardship and citizenship by sponsoring student leadership groups, running an extensive recycling program and supporting a nutritious hot lunch program. As a result, students not only receive a first-rate academic education, but also develop into well-rounded citizens who are sensitive to the needs of their community and the world at large. Whistler Secondary is dedicated to the Pursuit of Excellence in all areas; particularly in academics, athletics and fine arts. The school is infused with a sense of enthusiasm, energy and passion that inspires students to make their dreams a reality; whether it’s becoming a professional artist, winning an Olympic medal, embarking on a career in outdoor recreation or achieving an academic level of success that will open doors to the finest universities in the world. If you are a recent (2015 or 2016) grad, we would appreciate hearing about your post-secondary journey. Please click here to complete the survey. The Canadian Anti-Spam Legislation (CASL) is in effect as of July 1, 2014. Find a brief summary of this law and its impact on our school processes here.